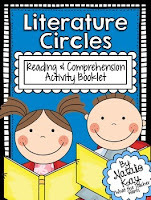 Teaching poetry in the upper grades can seem like a difficult task, but this poetry unit will walk your students through 11 forms of poetry and and 8 elements of poetry. The end product is a complete book of original poems! I'm very excited to announce that this Poetry Pack unit has been completely updated! 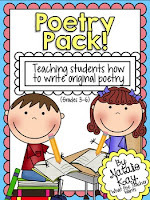 I first came out with my "Poetry Pack" on TPT back in April of 2012 and it quickly became my best seller. 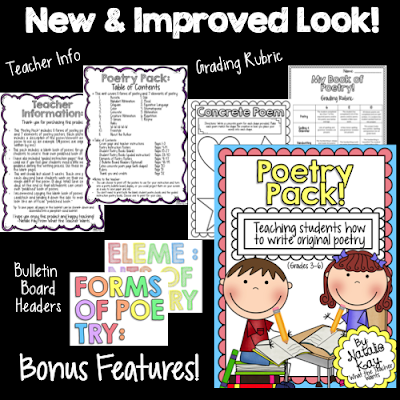 I've gotten really great feedback on this product over the years as I know it was a big time saver for teachers looking to teach a poetry writing unit to their students. However, over the years the old design quickly became outdated. 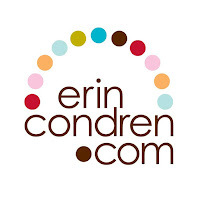 It is new, improved, and better than ever! I took a 20 page project and turned it into 50 pages! If you look closely at my Ode example, you might notice that I dedicated my Ode to Rachelle! Isn't her Melonheadz graphic absolutely perfect?! One thing I'm really excited about is that you now have two options for your student poetry books. You can choose the blank pages or the guided interaction pages. 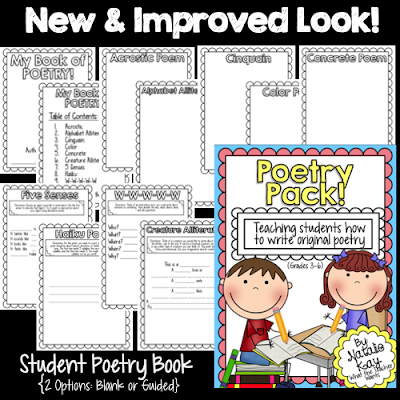 I've always used the blank pages because then students have more creative freedom to do what they want, but the guided instruction pages walk students through writing each poem. I feel it is a great option for students who need extra help or just as an easier way for students to write their poems! 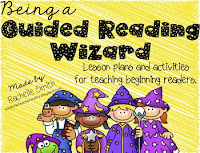 As some extra bonus features, I have a Teacher Information Page, Table of Contents with teaching tips, a grading rubric, an extra page for Concrete Poetry that includes shapes for extra practice, and bulletin board headers in case you want to turn your poetry posters or student examples into a beautiful bulletin board to display in your classroom or hall. I hope all of these will make your job easier! 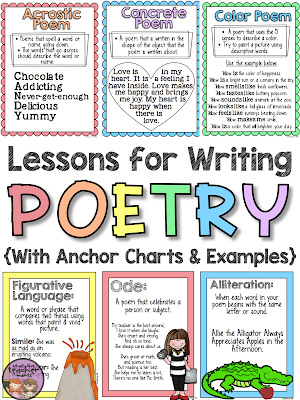 Want to teach a unit about poetry, but don't have the resources to do so? 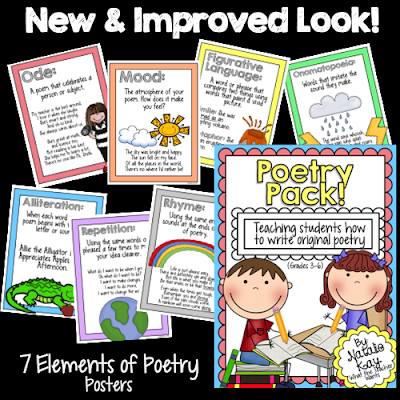 This "Poetry Pack" will be perfect for you! 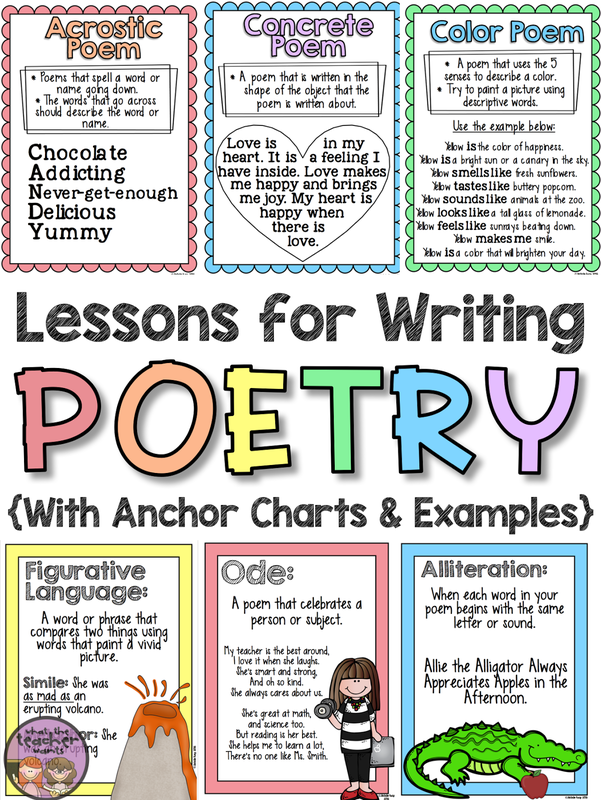 It's everything you need to teach a 3 week unit about Poetry! 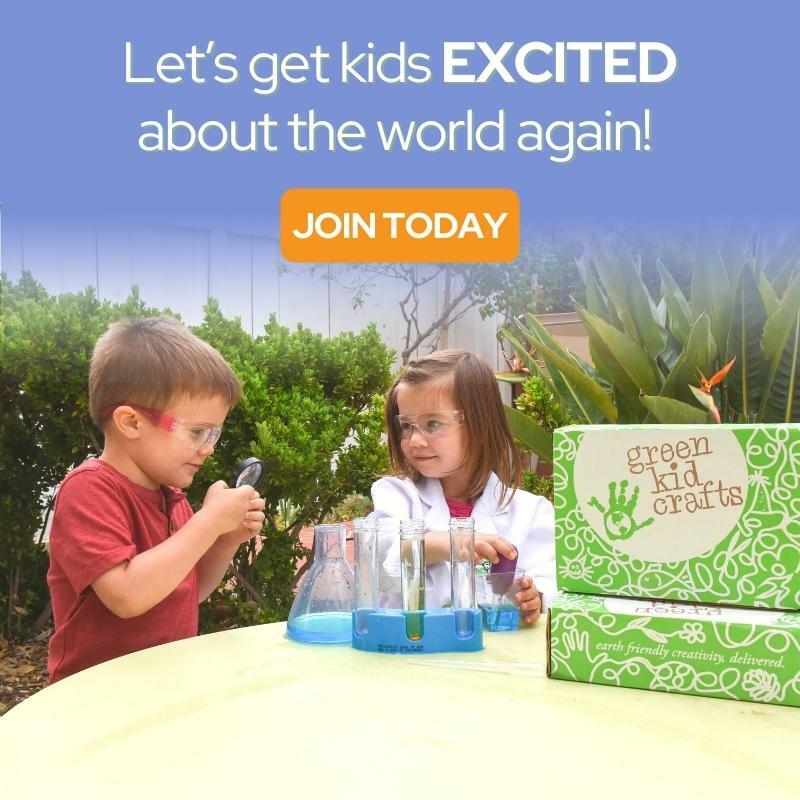 This is perfect for grades 3-5, but could easily be adapted for younger grades too! 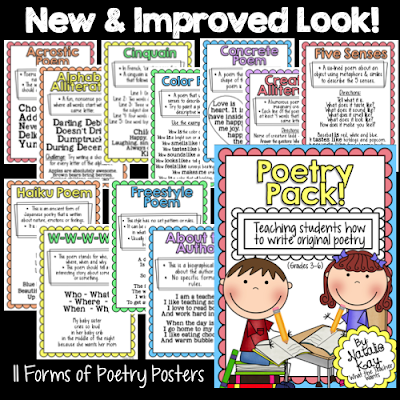 *This pack includes a blank book of poems for your students to create their own published book of poetry. 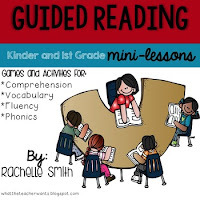 *I have also included “guided instruction pages” that you could use if you feel your students need a little more guidance during the writing process. Use these instead of the blank pages. 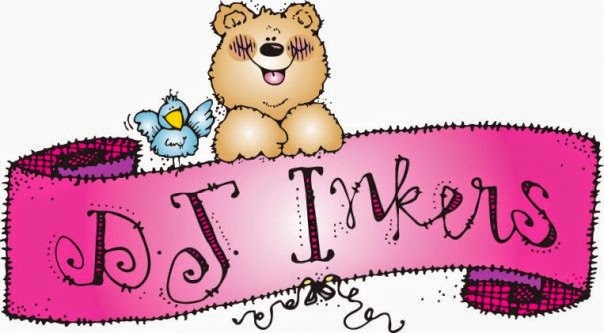 *Bulletin board headers: Want to turn these posters into a beautiful bulletin board display? I have included letters you can cut out and use to create a poetry bulletin board. * A grading rubric is included to make grading these projects easier for you! This unit should last about 3 weeks. 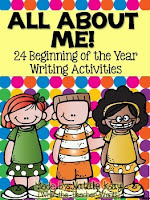 Teach one poem each day and have students work on their own original rough draft of the poem. (11 days total.) 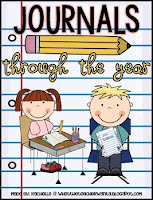 Save some extra days at the end so that all students can create their own published book of poems. 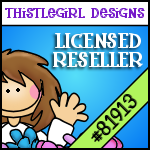 If you already own this product, please do and re-download this from your My Purchases page on TeachersPayTeachers for no additional charge. 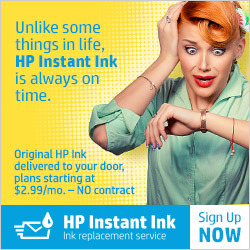 You get all the new features for free! 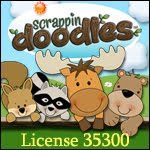 If you are interested in buying this product, it is available in my TeachersPayTeacher Store here! Thank you and Happy Poetry Month, everyone! !